Mandrill's first record is one of the truly unique opuses of the late '60s hippie scene. They have a sound of their own but if you like early Santana, War, Sly, and the more high-energy late '60s-to-early-'70s hippie music in general, there's very little chance of not enjoying this. And how many rock bands have a horn section and a vibraphone player anyway outside the Zappa Universe? Excellent guitar player named Omar and a great singing voice on whoever the singer is in the band too (one of the Wilson Brothers?) two notches above Greg Rollie for sure. 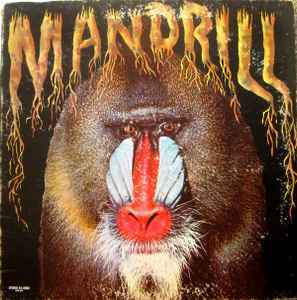 "Mandrill" would rate 4 stars but I automatically take one star off any record that mentions the words "Peace" and "Love" more than ten times in 2 minutes. hi all i have an album that has matrix/rundown of POLP-80151-1A instead of POLP-80151-2A on the first release in the U.S. 24-4050/2425 049. what should i do? This is a shameful remaster and repress right down to the slightly blurred art (to mask inauthenticity). The price, at least here in Canada, was $9.99 and it should have cost a lot less. Look for an original copy - there is always one around if you look hard enough. They sound measurably better. The music, on the other hand, is fantastic.